A few weeks ago, I read an article in the New York Times entitled “How You Felt About Gym Class May Impact Your Exercise Habits Today.” This is something that feels so obvious to me I was kind of surprised that it merited an article, but then again, I think way more about my traumatic life experiences (and other people’s) than is probably healthy, so I’m all over this topic. Exercise and movement are such a big part of my life now that it’s hard to reconcile my current lifestyle (a daily practice of gym, yoga, weightlifting, occasional awkward excursions into Jazzercise, jiu-jitsu, running, biking, you name it) with the first three decades of my life, in which exercise was something you did if you were required to, or if, as one of my ex-boyfriend’s mothers said to me, “You are getting fat. You need to make exercise” (there was a cultural difference, so I’d like to think I’ve let this go, but here I am writing about it on the Internet 20 years later, so probably not so much). As a kid, I liked to play outside, but mostly I used that time to enjoy being alone, spending time with my dog, reading and daydreaming. When my friends forayed into group sports (softball, field hockey), I gave it a try, but really struggled. I literally did not understand how the games worked or what the rules were. There was no Google to look these things up, and although you might reasonably ask, “Why would you not just ask someone?” it didn’t feel that simple to me. If everyone else already understood this thing that I clearly was supposed to have learned somewhere or somehow, the best my introverted self could manage was to kind of pretend and hope it would all work out one way or another. Don’t pass to me, I’d pray during the game. Oh, they’re running that way– must be time to run with them down the field now. You can imagine, then, how much I did not enjoy gym class. I was a child of the 80’s, and all I knew of politics was that Ronald Reagan liked jellybeans and that he, in his infinite, grandfatherly wisdom, had decreed that we must complete the Herculean tasks of the Presidential Physical Fitness Test. Pull-ups. Sit-ups. The Shuttle Run (ugh). The Mile. The Sit-and-Reach. I can’t remember what I wore yesterday, but the agony of the Physical Fitness Test is super fresh in my memory. Our gym teacher had big puffy brown hair and chewed gum as she noted, bored, on her clipboard, my subpar efforts. A quick romp through the Internet tells me that I am not the only child who remembers the tests with a lingering sense of shame and anxiety (“Sit and reach. I sat, I reached, I farted. Ruined 5th grade,” says one person. You can read more of “The Sad, Sad Stories of the Presidential Fitness Test” here). Middle school was no improvement. Some of us threw hard rubber balls across the gym. Others were hit with a stinging whack (guess which one I was!). It was only an hour or so, but that was nothing compared to the mandatory public shower afterward. In order to earn a passing grade, we were required to walk into the communal shower area (open to the entire locker room), take off our towel, place it on the low wall, and twirl around once under the shower so that the teacher could see us do it. This had nothing to do with hygiene and everything to do with body shaming, anxiety and often bullying from older girls. So yeah– gym class missed the mark for me. I know plenty of kids who enjoyed it– the naturally athletic ones, the ones whose bodies moved easily through space, who could kick or catch a ball or yell “Pass it to me!” with confidence. Extroverts thrived on the team experience– I shrank and wilted. “People’s memories of gym class turned out to be in fact surprisingly “vivid and emotionally charged,” the researchers write in the study, which was published this month in the Translational Journal of the American College of Sports Medicine. And those memories had long shadows, affecting people’s exercise habits years later. All of this is a long preamble to say– despite my struggles with gym class and the US Physical Education system, I have managed to find my way to being a reasonably healthy person who loves to exercise. I like to learn new movement skills and I’m relatively confident as an athlete, even if I’m not good at something (I’m pretty bad at most new things, FYI). Was it a miracle of some sort? Life coaching? Sheer willpower? Nope. It was yoga. Yoga bridged the gap between the social anxiety, poor body image and low self-confidence that I felt as a human adult attempting exercise. I’ve taught yoga for several years now, and I think I have an understanding of why yoga managed to convert me into an active adult when other modalities failed: it teaches body awareness, creates confidence, and it’s essentially non-competitive. One of the most crucial skills that I began to develop when I began doing yoga was proprioception*. This is simply the sense of where your body is in space. Some of us don’t develop this terribly well, for many reasons, but luckily it is a skill that can be learned and taught. Chronic “klutzes” may find themselves moving gracefully! It’s pretty awesome. Once we have a greater sense of where we are in the world, it’s natural that we start to feel stronger and more confident. As I continued to practice yoga, I built strength and found that I could actually enjoy moving my body through space in a deliberate way. I also found that I could appreciate what my body was able to do, and to find ways to nurture it so that it could work even better. I often remind my students that one of the best things about the yoga practice is that we can stop anytime. This may sound a little silly, but for me it’s quite meaningful. If exercise has been challenging for you, committing to a 90 (or even 60) minute yoga practice may feel too overwhelming. 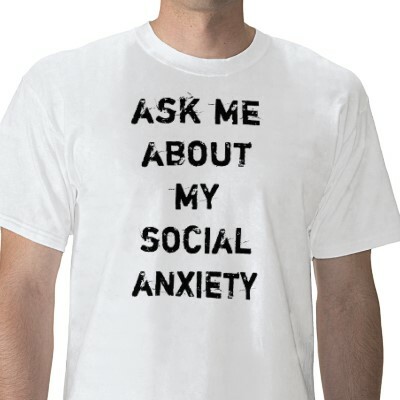 Perhaps it’s not the physical challenge that scares you, but social anxiety. In that case, too, knowing that there is no pressure to compete or keep up, that there are very few rules to be memorized, no team to let down, and that nobody in the room has any expectations of you can be tremendously freeing. You really can stop at any time. You can sit down, or do a different pose, or you can try something on one side you didn’t do on another. You can roll up your mat and practice another day. Having this freedom– to try something different, or to simply stop when we need to– has an interesting psychological effect. Because they don’t feel that they have to, often I find that students are eager to practice and even try things that might always have been outside of their comfort zone. The anxious students, gaining confidence in themselves and finding that they can be comfortable in an “exercise” environment, find themselves relaxing and engaging with fellow students. The pressure to perform is off, and the joy of movement and play has returned. In this way, yoga has the potential to repair the damage caused by a poor educational approach to exercise (I’m looking at you, Presidential Physical Fitness Test). I have seen time and again that learning embodied awareness and cultivating an appreciation for movement and our body’s abilities leads not just to greater health and more functional movement, but to strength and confidence in the rest of our lives and in our relationships with others. Of course, not all yoga classes are created equal. In order for to be truly empowering, a yoga class should include instruction on and time for inquiry (rather than merely imposing external alignment principles). Variations on poses should be taught and celebrated, and students encouraged to meet themselves where they are that day (teachers– we’ll take a look at how to create this kind of environment in an upcoming blog). Otherwise, yoga classes run the risk of simply recreating the same uncomfortable, inequitable experience so many of us lived through in that gym class. *Yoga and meditation can also teach interoception (a sense of the internal state of the body– am I hungry, thirsty, tired?) and exteroception (a sense of what’s going on outside of the body). This means we have the potential to use and care for our bodies more skillfully, and to engage with the world around us in a more mindful, integrated way. This entry was posted in Asana, New to Yoga, Self-Inquiry, Uncategorized, Yoga Cures Stuff and tagged gym class, learning to love exercise, proprioception on September 7, 2018 by laurasana. At the end of every yoga class, we lie down in Savasana- yoga’s “corpse pose.” In this final pose, we practice letting go and letting be. Trusting that we’ve done enough, we release any sense of effort and give ourselves over to rest. Neurologically, this is a chance for our nervous system to absorb and digest all of the new information we received throughout the practice. Ideally, if the class is sequenced well, your body and mind are primed for rest, and this is a nurturing and relaxing experience. Many students really, really love this pose (we used to sell shirts at YogaFish that read, “I’m Just Here for the Savasana!”). Others (often, especially, newer students) find it challenging and would rather get up and leave than partake in mandatory adult nap time. In order for the mind to really be able to rest, it’s helpful to make the body as comfortable as possible. If lying on the floor on a rubber mat isn’t your idea of a luxurious getaway, I’ve got some simple Savasana alternatives for you to explore that might help your body to feel more at ease. Most of these are pretty simple and will just require you grabbing an extra prop or two before practice. Stonehenge is a favorite with several of my students. By placing a bolster on top of two blocks, you’re allowing your lower back to nestle into the floor more cozily. I find that sitting closer to the blocks (creating deeper hip flexion; that is, bringing knees closer to the face) feels better on my low back, but you are welcome to explore. Adding a blanket over the feet or the whole body can create a sense of comfort as well. Double Bolster Savasana is for the yogi that likes a bolster under the knees and wants to really snuggle in! Here the legs aren’t as high as in Stonehenge, but the second bolster under the calves and ankles provides a deep sense of fundamental support, signaling the primal brain that it’s okay to relax. A blanket or pillow under the head or neck is always great if you find that your head is tipped back; you want to feel that your forehead is the same distance from the ground as your chin. A nice addition to this pose would be a folded blanket or sandbag over the hips. Adding a pleasant amount of weight here can feel good physically and creates a psychological sense of security. Legs Up the Wall Savasana can be a real breath of fresh air if you want to take some weight off your legs. Here, Carol Dee has added a sandbag over the feet (your teacher can place this here for you). If you’re adding a bolster or folded blanket under the hips here, try placing it about 6 inches away from the wall (setting a block between the bolster and the wall will keep it from moving and help you space it). This creates a mild inversion, which some folks really appreciate. La-Z-Boy Recliner Savasana takes a little set-up, but may be well worth the effort! This is a favorite with prenatal students. It’s a great option for students who have difficulty lying flat on the ground. The chest is mildly elevated, but the spine remains fairly neutral. The basic pose is simply two blocks (one on the high setting, furthest from the head; one on the medium setting, closer to the base of the spine) under a bolster. Here, Carol Dee has wound a rolled blanket around her ankles to gently hold them in place. I would love to add a folded blanket under each arm so that her elbows can relax more comfortably; an eye pillow would be the icing on the cake! These are just a few options– why not have a little fun with it? Try out a different variation the next time you unroll your mat (psst–if you’re practicing at home, bed or couch pillows make great bolsters)! In all of these variations, the common denominator is really giving the body as much support and comfort as possible. As you lie down, ask yourself “Is there anything I can do to make my body feel a little bit more supported?” If there’s an ache or a twinge you can’t quite figure out, please ask! Your teacher may be able to offer a suggestion that can allow you to rest more easily. Notice whether or not adding support to your body with a bolster, block, or even just a blanket over the body lends a little more serenity to your mind in Savasana. Finally, please remember that Savasana, like any other yoga asana, is really an expression of your body and mind’s needs in that given moment. If for any reason you are unable to feel comfortable lying down or even closing your eyes, it is completely reasonable for you to sit quietly on your mat (perhaps in meditation) or to prop yourself against a wall. In our next blog, I’ll include some techniques to encourage the mind to relax in Savasana. In the meantime, let’s hear from you! What are your favorite Savasana strategies? Are you a minimalist or do you bring your own eye pillows and lavender mist? This entry was posted in Asana, New to Yoga, Restorative, Savasana and tagged can't relax in savasana, how to relax in savasana, relaxation, restorative yoga, Savasana, yoga, yoga postures, yoga practice on August 13, 2018 by laurasana. Yoga Etiquette Guidelines #1: Arrive early enough so that you are on your mat at the designated class time. If class starts at 6 PM, you will need to be sure that you arrive with enough time to change clothing (if needed), sign in, pay for class, use the restroom, store your belongings, etc. If it is your first class, you will need to fill out some paperwork and become familiar with the space. I would suggest arriving at least 15 minutes before the class starts, if not earlier. Note: if you know you are going to be late, let the instructor know so she can accommodate you and guide you on how best to enter the class with minimum disruption. Why this is important: When you are late to class, it has two possible effects. First, it may cause the instructor to start the class late (as she has to assist you in signing it, etc). This steals time from those students who arrived on time and have been waiting. The second effect is simply disruption. If the class has already started, your entrance, no matter how quiet, is going to be a distraction. A fuller class may even require that others move to make room for you. Recently, I led a class where the student came in with their shoes on (*tap-tap-tap*), unrolled their mat (*smack*) put their keys and purse in a cubby (*clink*), went into the bathroom to change (*LOUD BATHROOM FAN NOISE*)- and the whole time, I’m encouraging other stressed-out students to relax, breathe, let go into their practice. As you can imagine, it was a challenge. Please, do your best to arrive on time. This is not some esoteric yoga rule, it’s just basic courtesy. Yoga Etiquette Guideline #2: Hygiene, Clothing & Scents. These are sensitive, but important issues. Be clean for your practice. When in doubt, shower, and consider shaving, if that applies. Check in with your clothes and yoga mat, too- after several hot and sweaty classes, you might find they’ve grown a nice funky odor. If you can’t tell if something is questionable (“are these pants smelly or is it just me?”), err on the side of caution. However, this does NOT mean that you should spray yourself, your clothing, or your mat with heavily scented perfume or essential oils. Whether it’s Poison or Patchouli, save it for your post-practice self. After class, clean your immediate area- wipe up any sweat and clean your borrowed mat. Finally, a word on clothing selection- be sure it’s appropriate for the audience and that all essential areas are covered. Suitable undergarments are a must. Why this is important. I hope it’s common sense, but personal cleanliness is important so that your scent is not disruptive or offensive. Perfumes and odors are great for most of us, but may cause an allergic reaction in others (I have a few acquaintances who simply cannot breathe around perfume. Pranayama would be out of the question). And cleaning up after yourself? Just politeness. Now, about your yoga clothes- some studios are all about the cute yoga short shorts and sports bras. That might not be appropriate at another studio, with an older population (and a cooler temperature!) All I’m asking is that you give a little thought to what you’re wearing, and, by all means, make sure your underwear properly conceals as it’s intended. Yoga Etiquette Guideline #3: No Shoes in the Studio. Don’t bring your shoes into the practice space. Your studio should have a designated area by the entrance where you can leave them. Why this is important: In a very practical sense, your shoes are covered with outside dirt. Yoga is generally practiced with bare feet, on the floor. Wouldn’t you rather do that in a space free of shoe-dirt? I also believe there is a psychological effect to the ritual of leaving your “outside” clothes outside, and entering your practice space in a more naked and humble way. Yoga Etiquette Guideline #4: Turn Your Phone (or iPad, or whatever) OFF and stow it. As soon as you get into the studio. Don’t wait to do it until right before class. Do not put it on vibrate. Do not put it on “airplane” mode. Do not put it by your mat in case the teacher starts late and you want to get in one more text. Turn it all the way off and put it away! Why this is important: Vibrating phones, in a quiet studio, are incredibly irritating. It’s the sound of the outside world, of the un-done task, of the social obligation that you forgot about. Even if it’s not your phone, your obligation, that sound can take you out of your practice and back to day-to-day frustration and stress. Your yoga practice is a place to work more deeply into your body and mind, where you can learn to be present with each breath. Some of us might be thinking, I’ll just wait until right before class and then do it. This is still inconsiderate to others who may be disrupted- if you must text or take your turn at Words With Friends or just cannot disconnect quite yet, don’t enter the practice space, but stay in the lobby or outside until you are ready. And consider this: if you give yourself a few quiet meditative moments on your mat before class starts, you’ll be able to more fully engage immediately in the practice, rather than having to fight the “to-do” lists, the echo of a conversation you were having, or replaying an event from earlier in the day. Yoga Etiquette Guideline #5: Maintain Silence. Most yoga studios have a silence-in-the-yoga-room policy. It’s okay to chat in the lobby, but once you are in the practice space, the conversations stop. This applies both before and during class. Your instructor may encourage some talking or feedback during class, and some are less strict than others, but for the most part, plan to practice quietly. The exception here is if you are experiencing pain, confusion, or a challenge in a posture- DO ask for assistance! Why this is important: This allows other people to meditate before class and observe a break from their daily life. Even a quiet conversation or whispers can be distracting. This rule is a challenge for many of us, myself included. Do your best to keep the conversations outside so that you can give your fellow students some well-earned peace. You’ll be grateful on the day that you find you need some silence of your own. Yoga Etiquette Guideline #6: Observe a Respectful Savasana. Savasana is the final pose of class, lying down on your mat. If you need to use the restroom, do it before Savasana so that you can avoid disturbing others. Savasana is not optional and you should not plan to skip it regularly. If you do for some crazy, out-of-the-ordinary, weird, not-going-to-happen-again-soon, unusual reason need to leave class early, let the teacher know so that she can help you to plan your exit. Advanced Yoga Etiquette Guideline #7: Be Respectful and Thoughtful in Your Modifications. This applies to more experienced yogi(ni)s. If you are taking a beginner’s class, do not veer too far from the sequence offered. If you feel you must modify drastically to experience your practice, set up your mat at the back of the room, or in a corner, where you will not be on full display. Why this is important: While I completely understand the desire to open more fully into postures, binding, balancing, etc., please keep in mind that doing so can be not only detrimental to the ego of the beginner student (“I’ll never be able to do that, I’m not flexible/thin enough/strong enough”) but also to their bodies. Advanced modifications can be dangerous if practiced without the proper knowledge or experience. If you feel like you are not getting enough of a challenge from your practice, do talk to your teacher and they should be able to work with you so that you can experience your practice more fully without distracting or endangering others. The Most Important Yoga Etiquette Guideline: Don’t Let it Get So Serious You’re Not Having Fun. These guidelines are important and will help everyone to have a more serene, safe, yoga experience- but once in a while something is going to happen. When another yogi breaks etiquette, don’t let it ruin your practice. Let it be an opportunity to remember that we are all human. Be willing to laugh at yourself if you start to feel truly “offended.” And then get back to your own practice, instead of worrying about someone else’s. Comments, questions? Any other etiquette you would add? As always, I love to hear from you. Leave a comment below or drop me a line! This entry was posted in New to Yoga, Uncategorized, Yoga Etiquette and tagged rules for yoga studio, yoga étiquette on December 28, 2012 by laurasana.